Went to work by train last Tuesday and ran into these cheesy head! How much you think these head piece cost for Halloween? 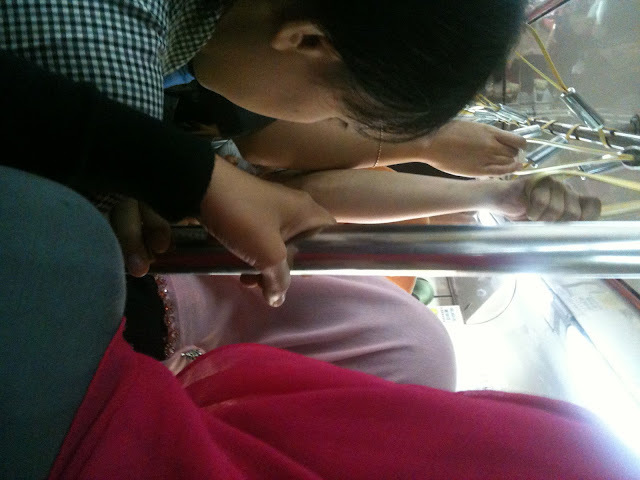 oh and it was so freaken pack, I felt like sardine in a can! Hi pixie alex, Thks for sharing the pics. 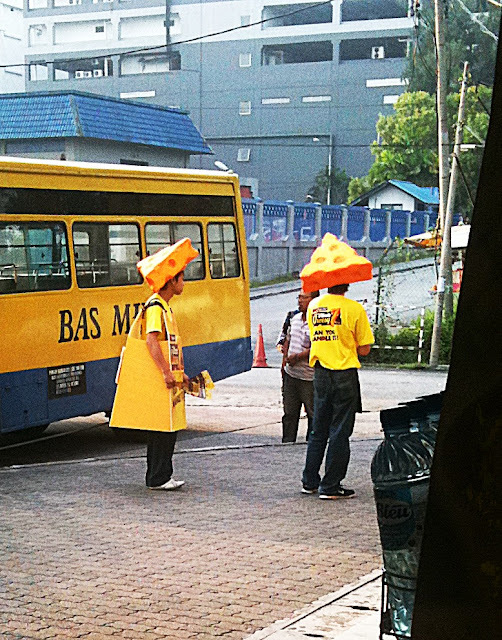 In fact i met the cheesy heads too at One-Utama. shopping mall yesterday. I remember an incident at Scream Park at sunway where a father punched a guy dressed as a monster cos it frightened his baby!! Do drop by to read what i rant about Bruno Mars. Everyone can be green sometimes!